Leading Manufacturer of construction wire nail, flat head wire nail, ms wire nails, common nail, concrete nails and wire nail from Nagpur. 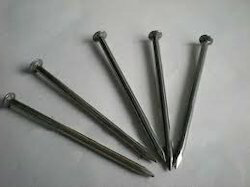 We have emerged as the leading manufacturer and supplier of premium quality Construction Wire Nail. Widely used in furniture industry, this wire nail is resistant to corrosion even in long run and is high in strength. The offered wire nail is manufactured by using the best quality raw material and ultra-modern technology. Moreover, this wire nail is tested by our quality examiners on different parameters so as to deliver qualitative product at clients end. We supply all types of quality Flat Head Wire Nail and industrial wire nails. 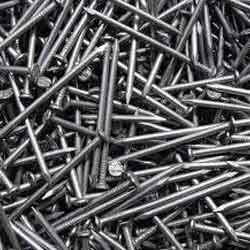 Our range of nails is widely acknowledged to be perfect in finish and high in performance. They are availability in different sizes and serve multifarious purposes as fasteners. Note : Prices May Varies as Per The Specifications. 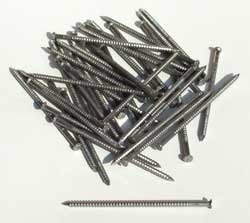 We offer a wide range of Stainless Steel Screw Shank Wire Nails. 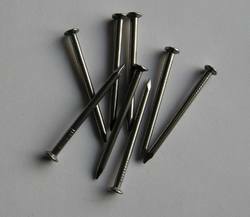 Stainless Steel Screw Shank Wire Nails are available in different sizes. To cater the precise and increasing demands and needs of our clients, we are involved in offering premium quality range of Wire Nails . The products we provide are precisely manufactured by our skilled professionals with the use of finest quality materials and superior techniques in accordance with industrial norms and standards. In addition to this, our valued clients can avail these products from us market leading rates. Features: Precise dimensions Highly durable Optimum quality Specifications: Size Length, inches 2d 13d 1 4d 1 5d 1 6d 27d 2 8d 2 9d 2 Note : Prices May Varies as Per The Specifications. We are one of the notable organizations, actively instrumental in presenting highest quality assortment of Steel Wire Nail. These are manufactured by our qualified professionals by our dexterous professionals in adherence with global quality guidelines. 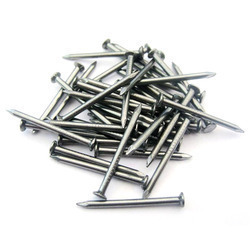 Developed using qualitative materials, these nails are widely acknowledged for their high performance. Besides, our products are available at industry leading prices. 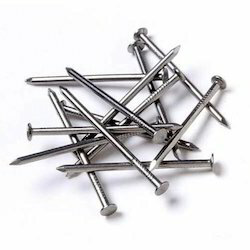 We have a wide assortment of MS Nail and coil nails which are commonly used in the industries of automobile, shoes, furniture, packaging, paint brush, sign boards etc. Our commitment towards quality and time bound delivery of goods is well appreciated among large number of our worthy esteemed customers. 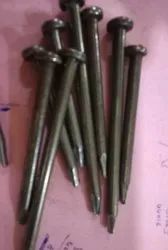 Iron Wire Nails offered can be made available by us in different finish lengths as well as in superior grade metal wire material so as to provide needed finish strength in the product. 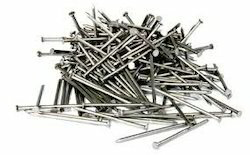 We bring forth to our patrons a supreme range of MS Wire Nails. 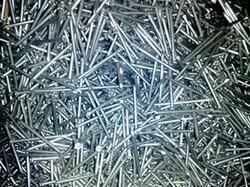 Keeping in mind the existing market requirements, offered nails are manufactured using premium quality mild steel. 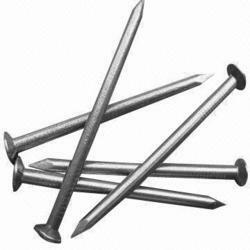 These nails conform to the international standards and guidelines. Looking for Wire Nails ?